Overreaction Monday: Why Did I Draft Chris Johnson? Chris Johnson. Steven Jackson. Adrian Peterson. THE COLTS! Why can’t we have nice things?!? Green Bay is an unstoppable force of fantasy football goodness. I’m picking up the Packers’ ball boy on the waiver wire this week, and I fully expect him to get at least 10 touchdowns this season. But the Saints defense is terrible. I will never trust them again. Look at how Aaron Rodgers tore them apart! Ben Roethlisberger has lost his command of the offense. He’s no longer a QB1. Why did I listen to those experts recommending him as a bargain? I’d rather have Cam Newton! The Ravens will bowl over everyone with the mighty power of Ray Rice, crusher of kittens and unstoppable engine of fantasy points. I have no doubt. What happened to Matt Ryan? I thought he was supposed to ascend to the highest realm of fantasy quarterbacks this season. Instead, he was Ben Roethlisberger-ed. (It’s a verb.) Will Julio Jones be enough save him? Why are the Steelers wearing those blue uniform…oh, it’s the Bears. How did we not see this coming? I know what happened — Big Ben got married this offseason while Jay Cutler called off his engagement. WEDDINGS RUIN FANTASY FOOTBALL! Cedric Benson? He’s the man. Look at all that yardage and a touchdown. Glad I drafted him while he was in prison! The Browns tight ends are bound for fantasy greatness. Colt McCoy will hit them anytime they are in the end zone … but the Browns still won’t win. CURSED! Chris Johnson has more millions than yardage. I’m ruined. Why, oh, WHY did I take him the first round? Please accept my trade request: Chris Johnson for Mike Tolbert, straight up. And Ryan Fitzpatrick is not in consideration because he went to Harvard. Adrian Peterson … NO touchdowns? Donovan McNabb has ruined Peterson. Season over. Maybe I can deal him for C.J. Spiller. The 49ers defense cannot be stopped! Yes, Ted Ginn, you will return every ball you touch. Jamaal Charles and Matt Cassel are nothing without the greatness of Charlie Weis. PLAXICO BURRESS IS BACK, BABY! Rex Grossman will lead the Redskins straight to the Super Bowl! Philip Rivers will take the Chargers all the way to the Super Bowl! Matthew Stafford will lead the Lions straight to the Super Bowl! Michael Vick will lead the Eagles straight to to the Super Bowl! The Bucs will not make the leap! Josh Freeman is a fantasy failure. The Jags don’t need Garrard. They have Luke McCown! The Titans could use someone more like Luke McCown. The Giants have found their David — the Redskins. The Cardinals have finally found a quarterback again, but he’s not quite as good as the one who started his first game against them. Mark Sanchez is a closer! Look at that poise. Tony Romo is not a closer! He’ll never make it to the super Bowl. Fumbles are the antithesis of poise! What’s happening here? The sky is not falling. Just having a little fun with the first weekend of NFL football and the owner overreactions we’re all guilty of after seeing our fantasy studs exceed or fail to meet expectations. It’s only one week. Feel free to add your own overreactions in the comments. …and can I just say again how glad I am that football is back? I missed you terribly, NFL. Believe It: This was not the stat line Reggie Wayne owners wanted to see, but without Pierre Garcon, Peyton Manning locked onto Collie while Dallas Clark and Reggie Wayne got most of the attention from the Denver defense. I don’t expect Collie to get this lucky every week, but with two strong games under his belt, he should be owned in all leagues. Believe It: The 400+ passing yards countered Rivers’ two interceptions, and that’s the kind of game he’ll have to have as long as the Chargers’ special teams continues to give up two touchdowns each game. Believe It (in Matchups): Flacco finally had a good performance, thanks to Anquan Boldin and the Browns’ defense. Now that we know what he’s capable of, we will have to see if he can keep up this level of production. I don’t see him living up to the QB1-hype surrounding him this offseason, but he’ll make a decent matchup play the rest of this year. Believe It (in Matchups): Sanchez had another three touchdown performance on Sunday…so is it horrible of me to still not buy it? He’s a promising young quarterback, but he’s still a matchup play in my book. I doubt L.T. would have signed for a team that just planned to become a pass-first offense like the Chargers were without him. If you have Sanchez as a QB2, congrats. He looks good to go in that role or as part of a QB-by-committee. Not Buying It: Cassel showed up big in Week 3 for the Chiefs, but I can’t take it as a sign of things to come just yet. He’s still not a very good quarterback, and his success Sunday might have been more about the complete and utter failure of the 49ers. Believe It: I immediately regret my decision to wait on picking up Moore after Reggie Bush was injured. Moore should be on the field more often now and showed what he can do with that playing time against the Falcons Sunday. Drew Brees trusts him, and I do, too. Believe It (At Home): “The 12th Man” lives again in Seattle. They may be garbage on the road, but in Seattle with Leon Washington returning kicks, the Seahawks D/ST appears to be unstoppable. They’ve produced double-digit fantasy points in both their home games thus far this season. Believe It: I thought Hillis might make a decent sleeper at the beginning of the season. It looks like he’s woken up now. Keep in mind that this performance was against the Ravens. It’s not like the Browns have a lot going on in their offense to distract a defensive unit like the Ravens, so there’s a chance Hillis could do even more with what he’s given against a lesser defense. Believe It: Even with Michael Bush available, McFadden continued to get the majority of the carries. I still don’t think McFadden keeps this job all year. Injury or Bush’s improving health will force the Raiders to take some of his carries away, but if you have him, you should continue to ride the lightning while you can. Not Buying It (Entirely): Williams finally earned that contract he got when he first arrived in Dallas. His second touchdown was late in the game when the Texans D/ST has all but quit, but whether he earned it or not, it’s good to see him producing and to know that the Dallas offense will continue to involve him, especially in a game that mattered so much. He makes for a decent sleeper wide receiver — sad that a starter on a high-powered passing attack is a sleeper, but what are you gonna do? — moving forward since he could keep his role as a starter all year long, even with all the excitement for Dez Bryant. Not Buying It: The Broncos have said that they will have a different top receiver every week, and it certainly seems that way. The only two I’d rely on are Demaryius Thomas and Jabar Gaffney, and I don’t even trust them a whole lot right now. Lloyd’s nice, but without a cemented role, I just don’t think you can ever start him with confidence. Believe It: Another sleeper awakened this weekend. No more “buy lows” here. Wallace should get even better once Big Ben returns. Believe It: Sanchez won’t throw three touchdowns every week, but it’s telling that he threw the first two to Keller. Clearly, he trusts Keller at the goal line. That will go a long way in making Keller a legit fantasy tight end this season. Not worth mentioning here, but for those of you keeping score at home, the obvious ones for this week were Michael Vick, Anquan Boldin, Peyton Manning, Adrian Peterson, Tom Brady, Drew Brees, and Chris Johnson. In honor of the Cowboys at Redskins face-off tonight, I give you this lovely, artistic interpretation of what it’s like to be the NFL’s most self-conscious cornerback, DeAngelo “Get Shorty” Hall. In case you missed it, the Washington Redskins’ tiny little cornerback that could has height issues. Is that why his mouth outperforms his play on the field? Or is it the hot dogs? You know what’s in those things, right? The hot dogs? That’s greatness. Hot dogs gave Mark Sanchez his swagger, not Old Spice. Patrick Crayton just straight up offended me by complaining that he wasn’t told that he was being replaced in the starting lineup. Seriously? But seriously? But seriously? I guess he was the last to know. I knew two weeks ago. Let’s just drop the act, Crayton. You saw Miles Austin have the best day of any Cowboys’ receiver two weeks ago. You saw it first hand unless — and I’m not ruling this out — you couldn’t see around the one corner that had you blanketed the whole game. If you watch any game film of the rest of your career, I’m sure you’ll also see the key drop you had in the playoffs against the Giants. Yes, that was you. Would the coaches have had to explain to you why you were being replaced in the starting lineup that week? And you’ll also notice plenty of other drops falling from your hands whenever you were open beside Terrell Owens, which made it impossible for Owens to duck any coverage in the passing game. Hey, we could practically blame the need to trade for Roy Williams midseason on you. You were not enough of a threat. You’re upset that you lost your starting job so quickly, so unsuspectingly, but no one is really surprised here. You’re a better slot man than a second receiving option. Miles Austin has far more potential and the trust of Tony Romo. Just stop trying to be the T.O. that T.O. left behind. Speaking of getting left behind, LenDale White had to be carted off the field this week. Luckily, they had a heavy-duty model to do the job. I didn’t get to see the exact play where he injured himself, but I’m told it’s because he didn’t stick the landing on this one. Poor guy. Contrary to what you may start to think when looking at Hakeem Nicks’ or Mario Manningham’s touchdowns the last few weeks, Steve Smith is the No. 1 target in the Giants’ offense. The Cardinals are almost dead last in the league against the pass, and that’s in a league that still includes the Tennessee Titans. The Giants, much like the Steelers, have become more comfortable passing the ball than running it lately. Even if the weather is a little rough, I expect Eli Manning to hit Steve Smith with the critical passes and maybe even a score. Forget about that one in Carolina. This guy is the Steve Smith. This destruction shall be mighty. This man ran for 210 yards against the Bills last week, and unless they have two pigeons on their side this week, I see Jones turning the Raiders back to their poor-run-defense selves. The Jets will want to go easy on Mark Sanchez after he was de-poised over the past two weeks. It may not be a career performance, but Jones is a strong choice at running back this week. He’ll do some damage. Leon Washington is a good play as well. Sammy Morris didn’t travel to London, and since I know he has a passport, that means he couldn’t play this week. So I guess Maroney is the man. Tampa Bay has a terrible run defense, but they also have a terrible pass defense. It’s hard to say what to trust here, especially because Belichick is such a cranky mad scientist most of the time. Will he run or pass? He’ll probably just have Tom Brady QB sneak the whole game to screw us all. Still, Maroney gets love for at least this week. He ran well against the Titans, but they looked like a fifth grade team that got lost on the way to the field. If Maroney doesn’t show up, at least we can all move on to liking BenJarvus Green-Ellis for his awesome nickname and starting role with the Patriots. “Law Firm,” simply awesome. Oh, he’s a sleeper! I actually like Cassel a little more this week. Not only does he have Sean Ryan — and you ALWAYS start your tight ends against the Chargers — but he also might have Antonio Cromartie out with a knee injury. The Chargers secondary is a pretty big mess right now, and their pass rush is absentee in this ballot. Let’s go with Cassel this week. Maybe he’ll look more like that Patriot version of himself this week, but we’re not talking 59-0 here. Here’s my theory: Hightower will be Kurt Warner’s outlet pass whenever the Giants bring the pain, and when they get near the goal line, Hightower’s bound to be asked to at least attempt a few goal line runs to keep this thing honest. He’s not the best play of the week, but if you need a solid RB2 or a flex, I like his chances for a score and some yardage in this one. Definitely a safe play in PPR leagues due to the passes he’ll get. That’s better… Oh, man, Fargas is still listed here as a start. Well, there are six teams on bye. The Raiders ran the ball well last week. And, well, Fargas might just be able to slip down the middle of the Jets’ defense now that Kris Jenkins, the big man in the middle, is out. Don’t get cute. You picked him up after the announcers went all “laser, rocket arm” on him against the Jets. Tell you what, give him a week to do it again against a defense that has been truly legit against the run. Barring a new wrinkle in the Wildcat offense, which sure seems pretty wrinkly these days, I don’t see Henne succeeding in this game. Brees and the Saints just put Eli Manning in his place, and he’s just slightly ahead of Henne’s learning curve. Just say “no” to Nnamdi Asomugha. And Mark Sanchez is positively poiseless right now. And Edwards is just a little injured. Give him a week off if you can afford it. Otherwise, lower your expectations. You’re used to that with Braylon Edwards anyway. This guy has disappeared from his own offense. Let him disappear from your lineup this week. The Bills may be sad and pathetic right now, but their pass defense is strong as a buffalo. Did you see what I did there? Did you? The ol’ “Silver Fox” is no match for a Steelers defense with Troy Polamalu back in the mix. Besides, other injuries on the Pittsburgh defense make running against them the most prudent strategy, and that is something else the Vikings are good at doing. It’s true. They don’t just allow announcers to gush over aging stars playing roles. I relish any opportunity to use a word like prudent, but it just doesn’t sound right when we’re talking about Brett Favre. You’ve met Drew Brees, haven’t you? Okay, good. I thought you were seriously going to start them. Funny guy. I don’t see him catching a touchdown pass (that will, of course, be called back for a penalty), and this game is shaping up to be pass-happy as long as the weather allows. It’s not because I think Ahmad Bradshaw is stealing his job. That’s not happening. I just don’t like Jacobs this week. This fat man won’t fit through the square hole that is this matchup against the Cardinals. It’d be nice if he broke out with a big game, but it’s not coming anytime soon. I finally feel safe recommending benching him if you have a better option. That’s right. Screw you, Patrick Crayton. I’m all in. I’m giving Miles Austin every chance to prove himself here. Maybe that’s silly of me to bet on another nice performance right after his record-breaking day, but hey, I live on the edge — the edge of reality. There is some upside behind this sleeper pick though. Atlanta just lost one of their starting cornerbacks, and assuming that they pay the most attention to the big guy, Roy Williams, the Falcons will have a not-so-good corner trying to contain Miles Austin. He already gets a lot of looks from Tony Romo. I say he gives him a few more after Austin saved all the Cowboys two weeks ago. And if Miles Austin impresses, I’ll be the first one to tell Patrick Crayton. Pinky swear. Flight of the Conchords is a great show. Maybe they can ease your pain during this six-team bye week sadness. I’m not crying… I just looked at my lineup while cutting an onion and thinking of my friend, who you don’t know, who is dying… of bye weeks. I miss you already, Ray Rice. For more, check your lineups against FF Toolbox starts and sits, Fantasy Football Xtreme, Fantasy Football Goat, The Fantasy Football Geek Blog, Matthew Berry’s Love/Hate for Week 7 and Fantasy Joe. As always, leave your sit and start issues in the comments. I’ll take care of them. 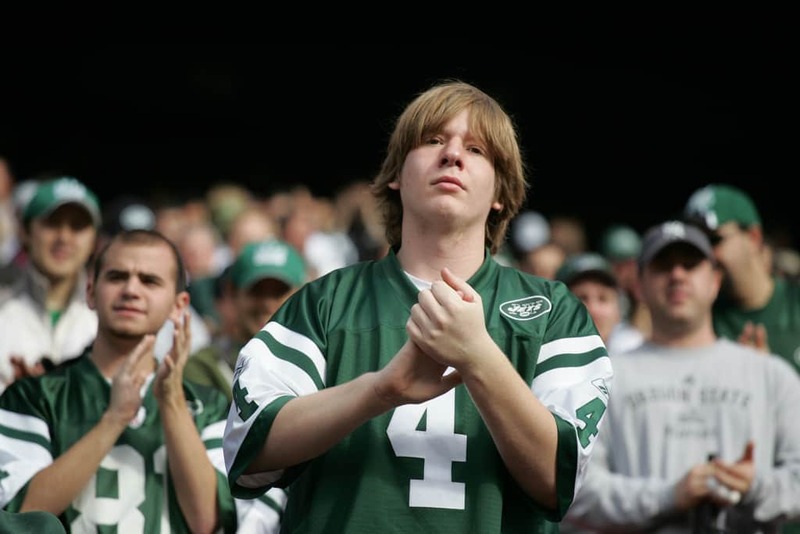 Coming off the heels of allegations that he assaulted a friend of LeBron James and a Week 4 game in which Braylon Edwards caught absolutely nothing, it’s surprising to see him be swept away to the New York Jets in a trade this morning. But for the Jets, this move makes sense. They needed a No. 1 receiving threat that could stretch the field, and they believe that Edwards can be that guy. In exchange, the Jets sent the Browns young receiver Chansi Stuckey, a special teamer and two draft picks. Edwards looked like one of the top targets in the NFL in 2007 as he and Derek Anderson, coming off the bench to replace Charlie Frye, became fantasy superstars. Edwards ended the season with 16 touchdowns, and many fantasy football pros drafted him beside names like Randy Moss the following season when both Anderson and Edwards disappointingly regressed back to the usual for the Cleveland Browns. Drowning in mediocrity, Edwards now gets his shot at the big time. He’s always enjoyed the spotlight, and New York should provide him with plenty of that as he tries to make a name for himself as a true top-flight receiver and earn a big money contract for 2010 and beyond. His rookie deal comes to an end this season unless the Jets give him a new contract. There’s still the pesky matter of a potential suspension for Edwards, but the punishment would likely not be enforced until 2010 once the league is done investigating the incident. The Jets weren’t concerned enough to pass on acquiring him. Now all the eyes in New York are on Braylon Edwards to overcome his recent bouts of dropsies and prove his 2007 season was no fluke. Much will be expected of him as has been expected of Mark Sanchez, who hasn’t disappointed much in his first four games as a pro. While Edwards will most likely be happier in New York and possibly more open down the field for the Jets, his fantasy value should remain about the same for several weeks. He still has to learn the offense and find his rhythm with Mark Sanchez. There’s always a danger that Edwards, like Roy Williams in 2008, disappears in this offense until he can find his stride, but the Jets will try to incorporate him as best they can. Edwards’ owners should keep their expectations in check. Remember that Sanchez is a rookie quarterback on a defensive-minded team. Sanchez’s going to play it safe most of the time, but having the option to take shots down field should open more things up in the Jets’ offense. Edwards is likely to take the No. 1 role from Jerricho Cotchery in this offense and clear the middle of the field for Dustin Keller. As always, more danger down the sides of the field should help Thomas Jones and Leon Washington find running lanes. Overall, it’s an upgrade for Edwards and for the entire Jets’ offense, including Mark Sanchez. Edwards should be owned in all leagues already, but pick him up if someone gave up on him too soon. If you want to trade for Edwards, wait a week or two until the trade hype and his first two quiet games have passed, and buy him low before he really does something in the Jets’ offense. He shouldn’t become a factor right away, but he could have WR2 or WR3 value by season’s end. Chansi Stuckey isn’t much in the fantasy department. Brett Favre took a liking to him near the red zone last season, but this season, Stuckey has been on the decline since his 64-yard and one touchdown performance in Week 1. Only time will tell how the Browns use him once he adjusts to the Cleveland way of suffering, I mean playing. The real gainer here is Mohamed Massaquoi. Anderson neglected Edwards in favor of Massaquoi last week in Mo’s 148-yard breakout game. Massaquoi was a hot waiver wire grab going into this week, but his prospects just got hotter. Unlike Edwards, Massaquoi moves into a starring role in an offense with which he is already familiar. As much as the Browns should have to pass this season, Massaquoi must be owned in all leagues moving forward and is desperately in need of a good nickname so that we don’t have to type out Massaquoi 10 times a day if he becomes a real fantasy stud. While Edwards’ departure steals some talent away from the Browns roster, the fantasy impact should be minimal since Edwards just wasn’t being used enough to be a fantasy factor. Besides Massaquoi’s big jump in value and the potential for someone else on the Browns’ roster to step up in Edwards’ absence, Cleveland remains more of less unchanged. The Hazean and Fantasy Joe have more on the fantasy impact of this trade.